Rocket Matter Knowledge Base Batch BillingHow to generate a batch of "Unpaid Invoice Statements". 2. Select 'Unpaid Invoice Statement'. Statement: A Unpaid Invoice Statement displays the client, matter information and the invoice numbers with total amount due. This does not create a new invoice number, just an overview of what's due for all matters. 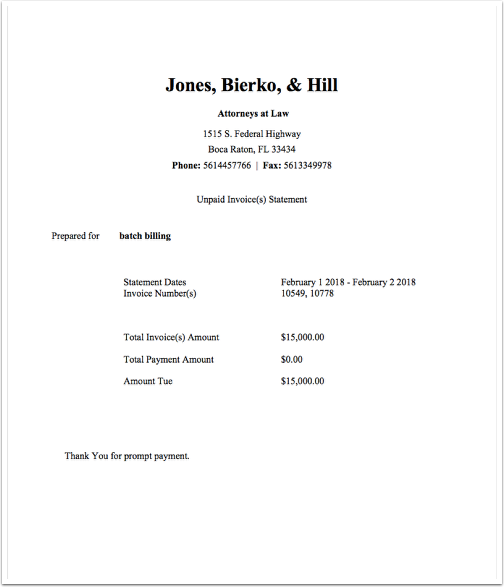 The Unpaid Invoice Statement template can be modified in the 'Custom Invoice Template' section. 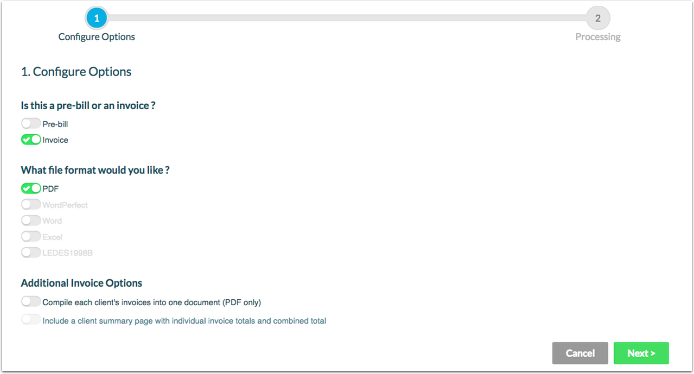 Optional - Include original invoices with statement: Includes copies of the original invoices. 3. Enter the number of days the invoices has gone unpaid, leaving blank will pull all invoices. 4. Be sure to select any additional filters that are applicable. When finished, click 'Get Answer'. 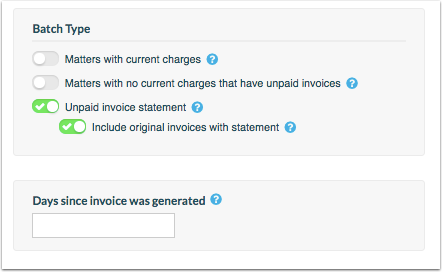 When generating a statement, if you choose “Invoice,” these statements will be saved to your Matter Documents. These statements will be sent to your clients via email or the client portal if the invoice-sharing option is selected for that matter. 5. Review your report summary and select 'Invoice' or 'Statement'. 6. Configure Options and select 'Next'. 7. Process Unpaid Invoices(s) Statements. 8. Download the statements or navigate to your Matter Documents to download at anytime. Prev: How to invoice a batch for matters with current charges and include unpaid invoices. Next: What is the different between a statement and an invoice?